While visiting the State Capitol and asking around what else to see around the State Capitol we were told to go see Old Sacramento. We listened and figured out quickly where we had to go and we didn’t regret it. It was definitely not as exciting as the State Capitol but we loved strolling by the river and looking at old Wild West type of buildings. Should you visit Old Sacramento? Read on to find out. Go down to the river and take a look at the large tour boats. You can even take a river tour and dinner if you feel like it. Stop by the old train cars that are parked on the old train tracks. Walk around the Wild West buildings and do some people watching if you like that. There are lots of people in Old Sacramento at night. 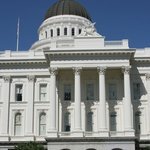 If you’re at the State Capitol you’re only five to ten minutes away from Old Sacramento. From the State Capitol just take L Street toward the 99 freeway (going west) and follow the signs as they guide you over the 99 freeway. Park on the first parking structure on the right hand side of the street. There is usually plenty of parking there. Once you park, go down to the first floor and cross the street into Old Sacramento. On your left you will have the river and on the right you will have Old Sacramento more touristy part. That’s it…you’re there. Map of Old Sacramento and surrounding areas. There are plenty of activities you can do right next to the river. You can go on a boat tour that includes dinner or you can just have dinner at one of the many restaurants that are right by the river. We also enjoyed great views of Tower Bridge from down below next to the river where the tour boats are docked. The Tower Bridge seen from the boat dock in Old Sacramento, California. It’s pretty cool to walk in between the Wild West buildings in Old Sacramento. 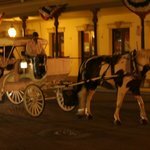 You see horse drawn carriages, there is a Wells Fargo Bank Museum and tons and tons of souvenir shops. There are also a few photo studios that take pictures of you with Wild West type of characters. Well, you find pretty much anything old you want to find. 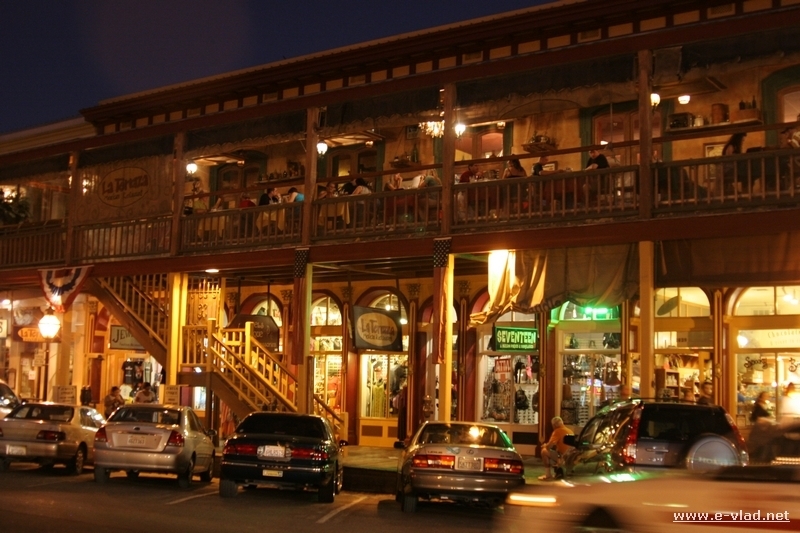 If it has to do with the Wild West you will definitely find it in Old Sacramento. Is it worth visiting Old Sacramento? While it is true that the State Capitol and the State Capitol Park are more exciting, Old Sacramento still makes for a nice stop for the tourist. We loved that the whole place was full of people just walking around. Old Sacramento seems to be a great place to meet new people and if you like old stuff this is the place for you.